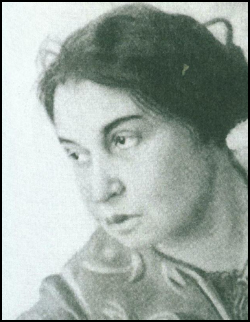 Angelica Balabanoff, the daughter of a Jewish wealthy landowner and businessman, was born in Chernigov, in 1878. The youngest of sixteen children, she was surrounded by governesses who taught her many languages. At the age of eleven she was sent to a boarding school in Switzerland. At the age of nineteen she enrolled at the Université Nouvelle in Brussels. The university had been built around the personality of Élisée Reclus, who was an exile from France because of his anarchism and his participation in the Paris Commune. According to Bertram D. Wolfe, the author of Strange Communists I Have Known (1966): "At the university and at the People's House of the Belgian Socialist and Labor Movement all her teachers were either socialists or anarchists. She heard the greats of the Belgian Socialist Party, she attended debates on labor history and tactics, she foregathered with poor Italian and Russian emigres. From them and from books she sought to find the answers to the two questions she had asked her mother and to which her mother had had no answers. Her rebelliousness became libertarianism, her compassion for the poor and suffering, equalitarianism." Balabanoff was greatly influenced by Antonio Labriola, who taught philosophy and ethics at the University of Rome. She adopted his maxim that it was the duty of all socialists to put their knowledge "at the service of the proletariat." Labriola saw Marxism "not as a final, self-sufficient schematisation of history, but rather as a collection of pointers to the understanding of human affairs." In 1900 Balabanoff joined the Italian Socialist Party where she became closely associated with leaders such as Giacinto Menotti Serrati and Filippo Turati. Balabanoff worked for a variety of trade union organizations without pay. According to Max Shachtman: "Moved by a genuine compassion for the exploited and oppressed, and a powerful spirit of indignation at all iniquity, she became, after joining the pre-war Italian Socialist Party, one of its most stirring and popular agitators." Balabanoff was strongly opposed to Italy's involvement in the First World War. In March 1915 she attended the Conference of Socialist Women held in Berne. In September of that year she was a delegate at the Zimmerwald Conference. During these meetings she got to know other European socialists such as Lenin, Pavel Axelrod, Karl Liebknecht, Rosa Luxemburg, Clara Zetkin, Margaret Bondfield, Inessa Armand, Ture Nerman, Fredrik Ström, Zeth Höglund and Kata Dalström. In 1917 Balabanoff joined the Bolshevik Party and went to live in Russia. At first she was an enthusiastic supporter of the Russian Revolution: "You cannot form any idea of what is taking place here. One witnesses daily the miracle of re-organization of an old, decrepit and rotten system which only the new regenerative forces can put life into; one looks on at this work of constant renewal going on amidst attempts to boycott it, to sabotage and blockade it in all directions. The spectacle is infinitely inspiring; it fills you with pride; it revivifies your faith in human power and in the divine potency, of the ideal. With all kinds of material deficiencies and with a continuous struggle going on against the enemy without, a great creative work is nevertheless being undertaken in the domains of Science, art and the education of the masses and the new generations." Despite this assessment it has been claimed by Henri Guilbeaux that she was always a supporter of Julius Martov and the Mensheviks: "Even though she flattered herself at being above the battle of the revolutionary Russian factions, she had a very clear point of view. Belonging to none of the factions, on the pretext of working for the restoration of unity, she was a Menshevik with all her soul." In 1919 Balabanoff was appointed secretary of the Comintern. The following year she was the main translator at the the Second Congress of the Communist International in Moscow. According to the author of Strange Communists I Have Known (1966): "The order of business for the Second Congress had been determined by Lenin. Having concluded that the great push for world revolution had failed, and with it the attempt to smash the old socialist parties and trade unions, Lenin set it as the task of all revolutionaries to return to or infiltrate the old trade unions. As always, Lenin took it for granted that whatever conclusion he had come to in evaluation and in strategy and tactics was infallibly right. In the Comintern, as in his own party, his word was law." John Reed and other members of the Communist Party of the United States and the Communist Party of Great Britain disagreed with this policy and tried to start a debate on the subject. To do so, they needed to add English to the already adopted German, French and Russian, as an official language of debate. This idea was rejected. Reed became disillusioned with the way Lenin had become a virtual dictator of Russia. Balabanoff later recalled: "When he came to see me after the Congress, he was in a terrible state of depression. He looked old and exhausted. The experience had been a terrible blow." Clare Sheridan, who was working on a bust of Lenin, met Balabanoff in October, 1920: "I came away in a car with Madame Balabanoff, of whom I had often heard. She is small, past middle age, with a crumpled-up face, but intelligent. I did not find her any too amiable on our way to the Kremlin, where she dropped me. She told me that it was absurd that any bust of Lenin or anyone else should be done, the theory being that the cause, not the individuals, should count. The humblest person who suffers privation for the cause is equally as important as any of the legislators, she explained, and proceeded to assure me that no picture or bust of herself existed, nor ever should. Happily I had not asked her to sit for me. She practically told me that I was doing Lenin's head to take back to England to show to the idle curious. I corrected her by saying that, so far as the public was concerned, I only wished to enable those who had him at present represented by a photograph, to substitute a bust. She was equally vehement about the photograph. Perhaps she expects to alter human nature. Before I got out of the car, she assured me that her tirade was in no way personal and would I, please, not misunderstand her." Balabanoff found working with Lenin very difficult. According to Bertram D. Wolfe: "He (Lenin) tried in vain to accustom her to his single moral, or amoral, principle, that the means justifies the end, the end for the moment being the seizing, holding, and extension of power in width and depth. She watched with horror old socialists who had given their lives for "the cause" slandered, put back into the same jails the tsar had used, censored more ruthlessly and efficiently, silenced, destroyed." Balabanoff was especially upset by the way the rebelling sailors were dealt with at Kronstadt. In 1922 she left the Communist International. She returned to Italy where she led the Maximalist Group. When Benito Mussolini gained power she was forced to take refuge in Switzerland. She also spent time in Vienna where she met Victor Serge: "She lived now sometimes in Vienna, sometimes in its outskirts, carting her possessions, those of the eternal poor student, from one furnished room to another: the spirit-stove for tea, the small pan for omelettes, and three cups for her guests... Small, dark, and beginning to age, Angelica still led her eager militant's life which, with its romantic fire, was about three-quarters of a century too late." Balabanoff also lived in New York City where she became friends with Bertram D. Wolfe. "When I visited her in her little furnished room in a run-down hotel on the West Side of New York City, the scene was one of modest furnishings, the warm hospitality, the zeal and unflagging hopes, the notebooks of poems, the pictures of the fighters for her cause whom she had known and admired." In 1938 she published her memoirs, My Life as a Rebel. She argued: "My belief in the necessity for the social changes advocated by that international labor movement and for the realization of its ideals has never been more complete than it is now when victory seems so remote ... The experience of over forty years has only intensified my socialist convictions, and if I had my life to live over again, I would dedicate it to the same objective." Balabanoff returned to Italy after the Second World War. Balabanoff's anti-communism meant that she refused to accept the alliance of the Italian Socialist Party with the Italian Communist Party, and she joined his Socialist Workers' Party in 1947. Angelica Balabanoff died in Rome on 25th November 1965. When the nineteen-year-old Angelica left home and family to study in western Europe, she picked, on the basis of vague report, the Universite Nouvelle of Brussels, not to be confused with the more solidly based Universite Libre. The university had been built around the personality of Élisée Reclus, the noted geographer who was an exile from France because of his anarchism and his participation in the Paris Commune. At the university and at the People's House of the Belgian Socialist and Labor Movement all her teachers were either socialists or anarchists. She heard the greats of the Belgian Socialist Party, she attended debates on labor history and tactics, she foregathered with poor Italian and Russian emigres. From them and from books she sought to find the answers to the two questions she had asked her mother and to which her mother had had no answers. Her rebelliousness became libertarianism, her compassion for the poor and suffering, equalitarianism. These moral positions were already part of her when she left home; what she sought now was a "scientific" underpinning for her moral attitudes, a proof that the nature of history and society were such that they must bring to pass the kind of world of which she dreamed. From Brussels to Leipzig, to Berlin, to Rome she pursued her quest, acquiring her doctorate along the way, still seeking the "scientific proof" that the poor must not only be exalted and granted full human stature but were predestined by their very privations and plight to become the saviors of all mankind and the architects of a more humane society. That faith is the religious side of socialism, a faith which she acquired in the course of her studies and activities and which, as her latest work shows, possesses her still. That is what she means when she uses the word "science." To her that is the science of "scientific socialism," the sum and substance of her Marxism. Rebellious daughter of a wealthy and reactionary Russian family, she left her native Ukraine for Western Europe to take up studies which soon led her into active participation in the socialist movement. Moved by a genuine compassion for the exploited and oppressed, and a powerful spirit of indignation at all iniquity, she became, after joining the pre-war Italian Socialist Party, one of its most stirring and popular agitators. Her teachers, friends and associates were the Old Guard of Italian socialism – Antonio Labriola, Turati, Treves, Modigliani, Lazzari, and later, Serrati and Mussolini. Of the last-named, then a neurotic bitter young exile in Switzerland, she became the patron, nursing him politically into leading positions in the party, until he became a member of the Central Committee and editor of the official organ, Avanti! Her pictures of the later Duce, of his timorousness and braggadocio, his characterlessness and inspired mediocrity, are savage and telling. Master of several languages – she was a talented translator at international assemblies – and associate of the internationalist left wing which, with Mussolini as its spokesman, effected the expulsion from the party of the patriots in the period of the Tripolitan war of 1912, she became, when the World War broke out, a central figure in the movement to reconstruct the collapsed Second International. The Zimmerwald and Kienthal anti-war conferences of the internationalist socialists – she was secretary of the Zimmerwald International Socialist Commission from its inception –were to a large extent due to her persevering work. She joined the Bolsheviks on the eve of the revolution and in 1919 was chosen by them as first secretary of the Communist International. She broke with the Comintern, and sided with the Serrati wing of the Italian Socialist Party, when the latter refused to adopt the famous 21 points and to break with the reformists of the Turati-Treves-Modigliani group. For the last 15 or more years, she has been the leader of that tiny fraction of Italian socialism which embraces all that is left of the once mighty “Maximalist” group, which its real leader, Serrati, abandoned before his death to rejoin the Communist International. You cannot form any idea of what is taking place here. One witnesses daily the miracle of re-organization of an old, decrepit and rotten system which only the new regenerative forces can put life into; one looks on at this work of constant renewal going on amidst attempts to boycott it, to sabotage and blockade it in all directions. The spectacle is infinitely inspiring; it fills you with pride; it revivifies your faith in human power and in the divine potency, of the ideal. With all kinds of material deficiencies and with a continuous struggle going on against the enemy without, a great creative work is nevertheless being undertaken in the domains of Science, art and the education of the masses and the new generations. When the history of the times comes to be written, people will marvel how with such small numerical strength, we were able to resist, to rule and to regenerate an organism, so vast, complex, undermined and threatened with utter ruin. As regards the mere negative sides of the question which are being described to you with such abundance of lying and invented particulars, believe about a thousandth of what you hear. Then compare it with what is happening in other countries, and you will see that the consequences of the war are felt much less here than elsewhere: that, whilst under any: other regime they would soon have led to the complete decimation of those classes least capable of resistance to them, they are here supported and shared justly all around. Therefore, when they tell you that we are living in the midst of terror and assassinations, keep ever present before your minds the fact that never before have there been so few of the latter, as at present; as to the 'terror', it suffices to compare it with the few days of struggle in Germany and elsewhere to understand that here it has been a question of a very mild sort of struggle indeed, and of methods of work which are truly patriarchal. And knowing as you do how much my temperament rebels against violence, you may believe me when I tell you that the White terror is a thousand times more cruel, deliberate and treacherous, and that all the tales that you hear about the Red terror are just so many inventions. They have had the effrontery, intentional of course, to pass off as terrorism what wad merely legitimate self defense. 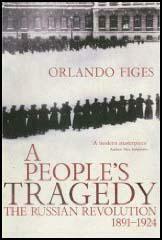 The Lockhart trial suffices to show up the attempts that were made to damage not only us; but whole populations. I acted as translator in this trial, so I know what I am talking, about--the devilish plans to blow up bridges, to reduce tens of thousands of people to hunger. It was not only a question of mere political sabotage, but also of attempts on the lives of people, as witness, for example, the plot hatched against the people's commissaries. In the light of these facts look at the mildness of the sentence passed. Those most directly concerned in the plot escaped and the foreigner who had been proved guilty of espionage was allowed to remain here. The carrying out of the sentence was put off, with a view to an eventual exchange of prisoners. And this is the "Red terror"! With regard to the defects in the State machinery, due to the lack of capable and conscientious co-workers, a severe and remorseless criticism is kept up in the Party's newspapers, constituting an aspiration towards self-betterment only possible to a revolutionary Government. The crux of the whole matter, in so far as internal politics are concerned, is that the Government and the Communists in general have to suffer the consequences and take the responsibility for the acts of enemies, of traitors, of impostors, who find their way into our ranks, of employees and officials who act contrary to the good faith, carry out acts of sabotage and strive by every means in their power to put obstacles in the way of normal life. In spite of all this the country lives and is reconstructing itself; new organisations spring up, although the flower of the working-class must needs leave the work of public administration and go to the front. If you but knew with what joyful spirit sacrifice the work of recruiting goes on here. I have been present at meetings of "Red" officers which, in the spirit of enthusiasm and courage shown, were truly religious in the best sense of the word. One always feels the difference between the war for the masters and this war, which is our war. The people and their leaders are firmly convinced that the workers of other countries will not allow the Russian revolution to be drowned in blood, nor the German Revolution either, which through untold difficulties, is slowly steering towards victory. At the present time the fate of the peoples depends on the proletariat of the Entente. Encouraging news continues to reach us. When she understood, her whole being revolted at the idea that this had been expected of her, or that this could serve to bring about the better world she dreamed of. Lenin and his agents sought to accustom her to the privileges of a new privileged class, the elite that held power. They did not know their Angelica. (For that matter, Lenin, too, found privilege repulsive while all Russia was starving; he would use it as a means of corruption and as a raison d'etat but he would not take such privilege for himself; in his heart, he could not help but respect Angelica's incorruptibility even if it made her a poor instrument for his purposes.) He tried in vain to accustom her to his single moral, or amoral, principle, that the means justifies the end, the end for the moment being the seizing, holding, and extension of power in width and depth. She watched with horror old socialists who had given their lives for "the cause" slandered, put back into the same jails the tsar had used, censored more ruthlessly and efficiently, silenced, destroyed. Then she saw the Bolsheviks lead an army of Asiatic recruits against the sailors and workers of Kronstadt, when the Kronstadt communists demanded that the revolution live up to the promises it had made before Lenin took power. Finally, she had to watch Lenin splitting and destroying her beloved Italian Communist Party to extract from it a more pliable, if weaker, remnant. Bit by bit, the first secretary of the Communist International began to go on strike. She refused to sanction unscrupulous agents and unscrupulous maneuvers. More and more, the chairman of the International, Zinoviev, had to do things behind her back. She began to find the false and demagogic speeches made to the Russian masses repulsive to her and suddenly ceased functioning as translator for official oratory. Subterfuges were used to get this troublesome moralist out of the way, into a sanitorium; to Turkestan, where cholera was raging and there were no workingmen to speak to; to the Ukraine as a deputy foreign minister of a foreign ministry without any powers. At last she went to Lenin and handed in all her documents, credentials, mandates, and asked for a simple permission to leave Russia with an identification paper which would get her past the sealed frontier. 11th October, 1920: I came away in a car with Madame Balabanoff, of whom I had often heard. She is small, past middle age, with a crumpled-up face, but intelligent. I did not find her any too amiable on our way to the Kremlin, where she dropped me. She told me that it was absurd that any bust of Lenin or anyone else should be done, the theory being that the cause, not the individuals, should count. The humblest person who suffers privation for the cause is equally as important as any of the legislators, she explained, and proceeded to assure me that no picture or bust of herself existed, nor ever should. Happily I had not asked her to sit for me. She practically told me that I was doing Lenin's head to take back to England to show to the idle curious. I corrected her by saying that, so far as the public was concerned, I only wished to enable those who had him at present represented by a photograph, to substitute a bust. She was equally vehement about the photograph. Perhaps she expects to alter human nature. Before I got out of the car, she assured me that her tirade was in no way personal and would I, please, not misunderstand her. My belief in the necessity for the social changes advocated by that international labor movement and for the realization of its ideals has never been more complete than it is now when victory seems so remote ... The experience of over forty years has only intensified my socialist convictions, and if I had my life to live over again, I would dedicate it to the same objective. Both the analysis and verdict have already served as the pathetic theme for reviews of the book in the petty bourgeois press, in which the dastardly immorality of the Bolsheviks is sanctimoniously and invidiously contrasted with what Professor Douglas calls the “fundamental sincerity” of Balabanoff, “one who believes that the means as well as the ends of economic action are important”. The explanation lies, however, elsewhere. 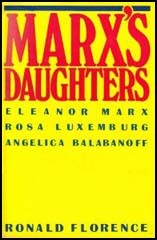 Balabanoff’s book is astoundingly devoid of political characterizations; it is filled with pictures of good men and bad men, honest men and crooks, blunderers and seers; and after the narration of all her experiences in various groups and movements, Balabanoff terminates her book without informing the reader of what are her specific political program and her political associations. Yet, while she does not apply political criteria to herself, it does not follow that such criteria are not applicable to her. In international socialist politics, Balabanoff never was a communist but rather a representative of that wing of Menshevism led by Julius Martov. Its chief characteristic was a strong literary radicalism, which sometimes went so far as to bring it into peripheral touch with Lenin’s thoroughgoing Marxism, but which rarely went so far as application in political life. The leaders of radical centrism could characterize the right wing with no lesser accuracy than did the Bolsheviks, but unlike the latter, who took seriously the proletarian revolution and the politics and methods leading to it, they could not bring themselves to a radical suspension of collaboration with the right wing. That is why even the most radical of Mensheviks, Martov, could “agree 95 percent” with the Bolsheviks, yet tax them with being “professional splitters”, and devote 95 percent of his blows at Lenin and 5 percent at the right wing with which he scarcely agreed at all. This is the reason – Balabanoff is not Martov, to be sure, but she suffers from the same political malady – why she could not remain in the Comintern, and not the intrigues, real or alleged, of Zinoviev. It is also the reason why her memoirs, even where they deal with personalities – and they deal with little else – are, with all respect to Professor Douglas’ talk about “fundamental sincerity”, hopelessly one-sided, splotched and distorted beyond balance and proportion. All the Bolsheviks are limned with splashes of black, shading off into blotches of mud; the social democrats, as a rule, are painted in nostalgic pastels.